Do you have mixed therapy groups? No need to fear, with some of my tips and tricks, you will master this challenge in no time! 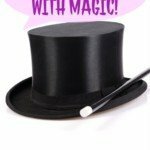 Students can role play or pretend play. 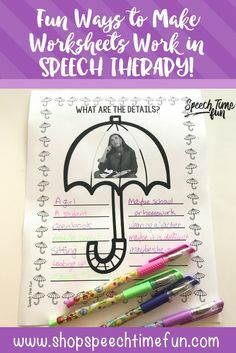 You set the props or problem and have it incorporate a social skills goal, a category of vocabulary words, or an articulation target. For example, have the students pretend to be in a cafeteria, eating carrots, and someone catches a cold. You have a setting, a problem, and tons of /k/ words. How about a firefighter eating french fries and finds a five dollar bill? 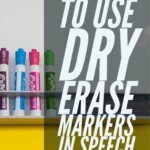 Find commercials or videos that depict a social skill you are addressing or has vocabulary words. 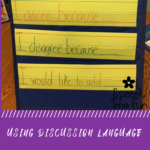 Each student can be responsible for answering questions based on their goal. What was the body language? What can they infer? What articulation sounds did they hear? Was the character in the video using smooth speech? I love using wordless picture books!! 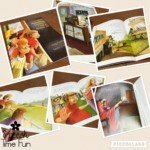 Students can create their own stories using the pictures. There can be many right answers which makes it nice! Click HERE to read about my favorite wordless picture books. I have MANY storybook companion packs in my TpT store that can help you take popular story books and address tons of different goals. Read the book to the entire group and have the students complete the tasks based on their own individual goals. Click HERE to see all of the goodies in my store! 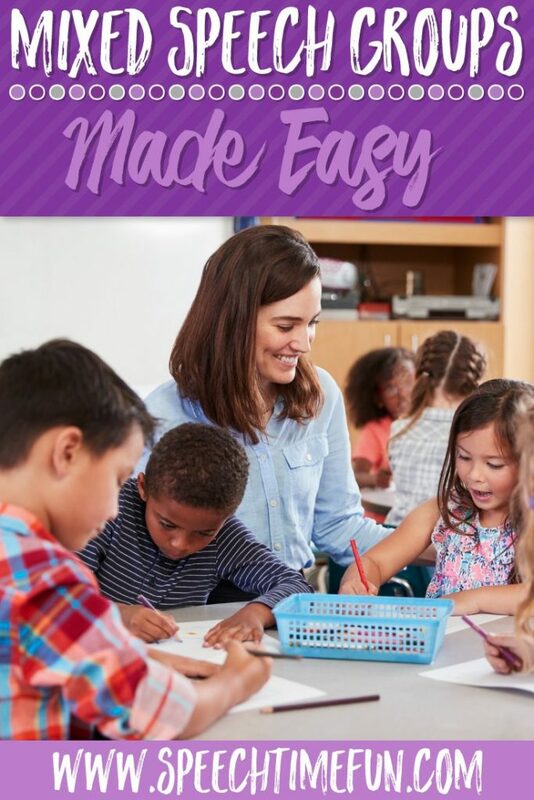 Chatterpix: You can use this app easily to have students give voices to each other, pictures from a storybook, teachers, objects, and more! They can work together, incorporate articulation sounds, use fluency strategies, and retell stories AND SO MUCH MORE! Oh and this app is free! The Bag Game: For $1.99 students can play a guessing game with images on the app. 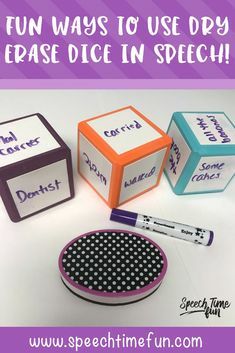 They can take turn guessing the object using the EET or whatever strategies you use! Great for turn taking, perspective taking (what could their peer possible pick!? ), and can select from categories or one with an articulation target sound. 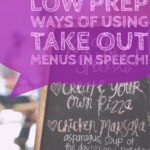 To see my entire round up of free apps to use in speech click HERE! There are tons of apps created for SLPs that allow you to select a different goal or set of questions for each student. Virtual Speech Center and Smarty Ears Apps are my favorite for this feature! I have many more but those are my favorite! Want even more tips? I have a FREE email course with freebies and more ideas right to your inbox! Click HERE to sign up! Do you want to watch my live video on the topic? Watch the video below!! 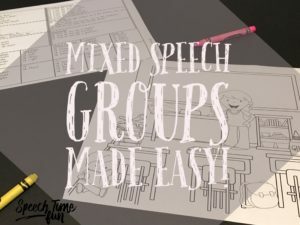 Did you know that I have a FREE email course all about mixed groups? 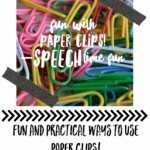 It has tips, tricks, and free resources!! Click HERE to learn all about it and to sign up!